The head of the Dubai transportation agency intends to start using self-flying taxis this July. Dubai will use the Ehang 184 for the service. 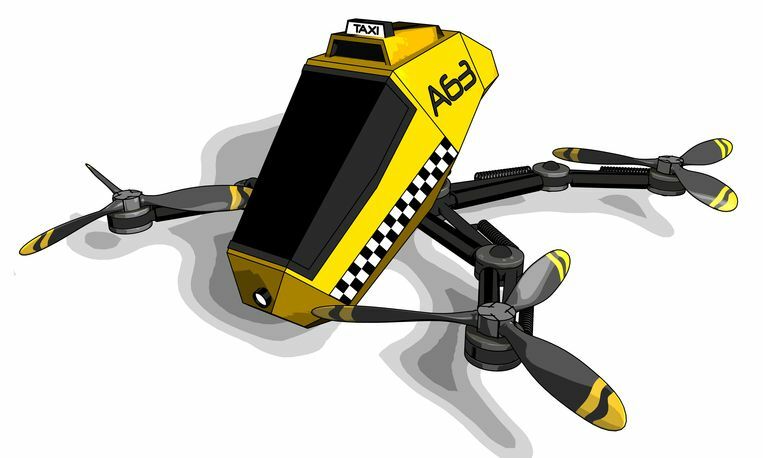 This drone flies for 23 minutes at a speed of 63 mph without human direction. Ehang carries a single passenger and a bag weighing up to 100kg. Potential passengers will enter their destination into an app, the drone then maps a route to the passenger and to their destination. Ehang cannot fly straight, instead it flies along a specific flight line, much like a public bus system. This is intended to avoid potential collisions with other air taxis or drones. Potential passengers have been assured about the Ehang “fail safe” malfunction system. If anything goes wrong during the flight the drone will automatically go to the nearest landing pad. Las Vegas has also shown interest in using Ehang for taxi service in the city. This entry was posted in Drones and tagged drone news, Drone Taxi.